Plas480 Cabinet is a favourite for rental or fixed installations. FlexiMag is a Magnetic Rubber enclosed LED Tile for dynamic installations. Amazing award winning bicycle powered interactive light installation engages between cyclists and for viewers. Digital Outdoor LED Sports Score Board for two team sports activities. 2018 End of Year Indoor Events LED Screen Promotion P3.9mm Pitch. 500sqm Ready to ship today! 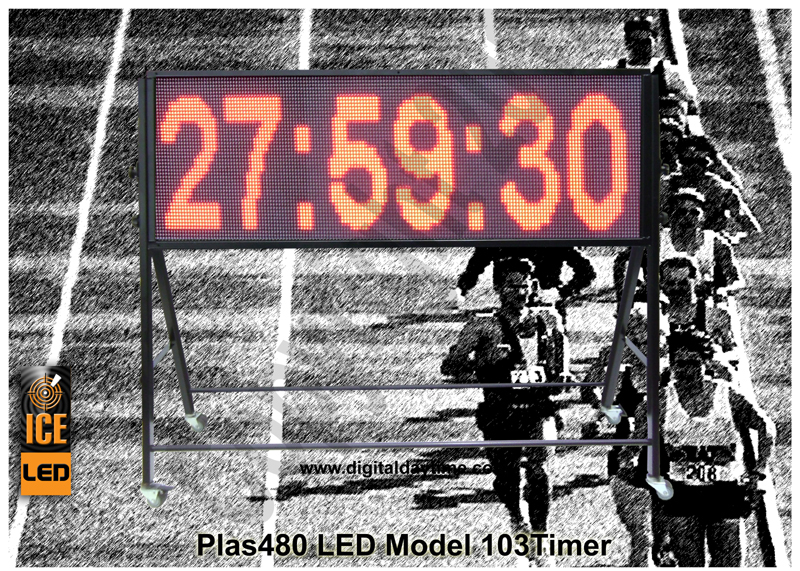 The ICE modular timing screen uses a modular approach for creating portable LED screens that one person can transport and assemble within minutes. It is ideal for for the rental company, schools, sports venues, where by utilizing our LED panels it offers a digital display or timing system in temporary or fixed situation, simply by assembling the components for the size required. 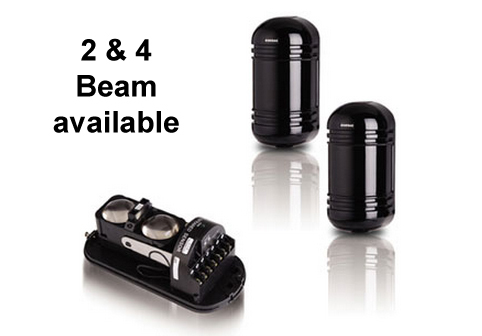 The sensors are available in various distance sensing distance making them suitable for a range of sports events. they can be used with our ground mounts or placed on suitable sturdy structures. The important aspect is they should not easily move out of alignment during your event. The modular Plas480 Portable Series LED screens is a series based on the PLAS480 LED modular industrial plastic panels from ICE LED and allow versatility for your expanding needs with this outdoor all weather any time timing, score board and advert display using the latest Plas480 Modular LED screen system. The screen LED panels can either be left assembled into the holding frame or the LED panels can be simply unscrewed and stored in the flight case. This makes it perfect for safe transportation and simple for a single person to transport and set up on site. Once on site select the stand components, screw it together, drop your panels into position and now you have a rugged mobile system designed to time your competitions and events as illustrated in the video. The design has been enhanced by giving users the ability to add printed sponsor and additional advertising space. This aspect may well allow users to recuperate the rental costs or as an additional income stream. By adding vinyl lettering or printed sign board, top flags or banners the screen can become a strong focal point benefiting advertisers and sponsors. The rear of the stand is idea for rigid board printed signs or tensioned vinyl cover advertisements. The stands are all on (locking) wheels so are easily moved about, with the simple option of unscrewing the wheels for static feet or larger wheels. An advantage of the Plas480 panels is that no matter what configuration or size of the timer, it can be be easily achieved by ONE person. From taking the LED panels out of the flight case each time to mounting each panel, bolting the legs on, every single task can be easily completed by one person. The timing screen configuration package enables this full capability. End users can select the screen size they require. Additional sizes are easily achieved by using more panels.